Hi everyone! 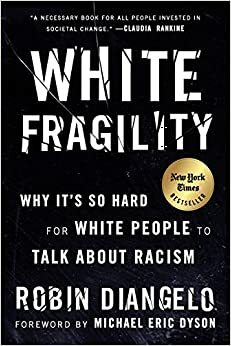 Just a friendly reminder that as a community of largely white, highly educated, [male](https://www.amazon.com/White-Fragility-People-About-Racism/d...). I do agree that people are racially distinct, but only if people are trained from an early age to treat those specific racial as significant. In Africa there are 27 major ethnic groups; to Africans those are visually distinct. To Americans, they're all just "black". The category of "white" is similarly artificial. The boundaries of "white" have varied greatly over the years. So yes, I agree Americans will quickly classify somebody by race, but it's not primarily a visual difference, but one of specific cultural training. I am saying that "special" treatment is not at issue here. The treatment was not just special; it was somewhere between suspicious and hostile. One of my colleagues there was just short of 7 feet tall. He was visually distinct but read as white. He often got treated differently, but never suspiciously. I doubt a white dude in a wheelchair would have gotten the third degree; my expectation is that people would immediately open the door for him. As to calculus in high school, I know plenty of people who are programmers without it. I certainly have never used calculus while coding, so it doesn't make a practical difference. As to how you can help, I think the best things to do are a) learn about America's history here, b) learn what present-day social structures help continue the diminished-but-still-ongoing oppression, and c) talking about them frankly. As somebody who didn't grow up here, you'll be able to see and talk about these things in a way that white people will listen to. Good books include Loewen's "Sundown Towns", Ijeoma Iluo's latest book, and Julie Lythcott-Haims recent memoir.